Are you looking to include some Korean face masks in your skincare routine? Korean face masks have long been known to feature in the skincare routine of actresses and celebrities because of their natural formulas and instant results. These masks are so effective and gentle on the skin and are even used every day by some people to maintain their glowing skin. Using a face mask every week is a great step to keep your skin look youthful and radiant as face masks hydrate the skin and prevent signs of aging. Korean face masks use pure and natural ingredients which are known to be beneficial for the skin. Since there are a lot of Korean skincare products available in the market, one can get confused easily. A lot of these masks can react very differently on the skin so it is better to choose after considering your skin type. Made with clay and carbolic acid, this bubble mask is primarily good for blackhead removal and also exfoliates the skin in the process. It also contains lavender extracts which soothe the skin and reduce inflammation. When you apply the mask on your skin, the oils of your skin make the formula foam so it looks like a bubble mask when applied on clean skin. The consistency of the mask is thick and you only need a small quantity of the product to cover your face. Regular use helps to keep your skin very smooth and prevents blackheads from recurring. The price of this face mask is affordable as compared to some other luxury Korean face masks. The mask formula bubbles when applied on the face and is very unique as compared to other face masks. It removes blackheads in one go and leaves the skin feeling smooth and glowing. The price of the mask is affordable as compared to the quantity. The formula might irritate sensitive skin a bit of more quantity is used than required. The tub packaging can be a bit unhygienic to use. This bubble clay mask not only removes impurities from the skin but is also quite fun to use because of its bubbling texture. It extracts blackheads well and can be a boon for people with oily skin. Innisfree is a well-known brand when it comes to skincare and this volcanic clay mask is popular among people with oily skin. It deep cleanses the skin and tightens the pores while absorbing excess oil. The formula contains volcanic ash which is known for its exfoliating and sebum-controlling properties. It is suitable for all types except very dry skin. The quantity is very good as one tub lasts for 4-5 months if used weekly. The mask has a faint scent but not something which irritates the skin. The price is reasonable but still higher than some of the other Korean clay masks. The mask contains volcanic ash which removes impurities and excess oil from the pores. The tub packaging is lightweight and travel-friendly as well. It refines the pores and helps in pore tightening to make your skin look firm and youthful. The formula dries quickly and does not irritate the skin when washed thoroughly. It can leave the skin drier if used on very dry skin. The consistency of the mask is thick so it can be a bit difficult to wash it off. This volcanic ash clay mask is great for keeping excess oil under control and firms up the skin just after one use itself. Regular use can treat common skincare concerns like breakouts and dullness also. Made with antioxidant-rich plant chlorophyll, this mask from Cocokind is designed for people with sensitive skin as it is very gentle on the skin and improves blood circulation to reveal glowing skin. It comes in a tub packaging with a wooden spoon to take the mask out of the tub for use. People with blemish-prone skin can also use this mask to get rid of marks and dark spots. The colour of the mask is dark green and it has an herbal smell. You need to mix it with water to get the desired consistency before applying it on a cleansed face. The price of the mask is a bit high but you can get it at a discount online. Contains chlorophyll which is very rich in antioxidants and helps in cell renewal. The formula also contains ylang-ylang oil which refreshes the skin and awakens the senses. The wooden spoon helps to keep the product uncontaminated and clean. Regular use can help to lighten blemishes and dark spots. The mask has a herbal fragrance which can irritate some users. The quantity is a bit less for the price as compared to other facial masks. This chlorophyll-based mask is suitable for sensitive skin and keeps blemishes under control by improving the blood circulation in the skin. It is very gentle and comes with a wooden spoon for hygiene purposes. Available in three sizes, this black sugar honey mask is an exfoliating face mask from Skin Food and has a hypoallergenic formula. It contains black sugar, acacia honey, and Manuka honey along with vitamins and minerals like calcium, magnesium, potassium, and iron. The mask is to be used once or twice a week for good results and removes all dead skin cells instantly with its sugar granules. It has a very uplifting fragrance and has a light consistency which is not too sticky. The sugar granules are not very abrasive and leave the skin feel soft and smooth. The price of the product is affordable for the quantity. The black sugar and honey formula exfoliates the skin and removes dead skin cells. The size of the sugar granules is not very abrasive on the skin. The face mask has a really nice fragrance which lingers on the skin. The three sizes options make it easy to try the product at an affordable price. The formula separates so you need to mix it with a spatula before use. The exfoliating formula can lead to breakouts if used on sensitive skin. The formula of this face mask helps removes dead skin cells and improves the elasticity of the skin with regular use. The fragrance is very uplifting and the sugar granules with honey provide antibacterial benefits for the skin also. When Korean face masks are being discussed, it is impossible to leave the iconic Innisfree sheet masks which provide all the benefits of a traditional face mask with added convenience. This sheet mask set contains 16 masks made up of natural extracts like cucumber, green tea, strawberry, rose, pomegranate, rice, Shea butter, acai berry etc. Each of the sheet masks is very convenient to use and does not cause any mess. They are made up of bamboo and are drenched in the serum of that particular variant. The masks are very soft on the skin and fit the face nicely. The price is very affordable and these are one of the cheapest face masks you can find in the market. The sheet mask set contains very soothing face masks which are very convenient to use. They are suitable for all skin types and can be used during travels also. The mask does not need to be washed off and the serum absorbs well into the skin. The price is very affordable as you get 16 sheet face masks at a great price. The masks contain alcohol which might not be preferred by some users. The sheet mask might not fit small faces properly. This variant set is a great budget find as it allows you to try all the sheet masks at a very affordable price. The rose and pomegranate masks are very soothing on the skin and provide anti-aging benefits as well. If you are looking for a cream face mask for hydrating your skin, this egg cream mask is a good option to consider. It contains egg white extracts, coconut extracts, and niacinamide which nourish the skin and make it appear brighter and hydrated. The consistency is very creamy and the mask has a nice coconut fragrance. It is quite soothing on the skin and reduces dry patches from the first use itself. Dry spots and skin irritation is gone if you use it regularly as the formula is very rich and creamy. Each pack contains five face masks and the price of the set is affordable but not as low as the Innisfree sheet masks. The egg white extracts and rich coconut extracts make this mask very creamy and rich. Each pack contains five convenient face masks which can be used on the go. It is great for dry skin and reduces dry patches instantly to give you a soft and moisturized skin. The mask has a very soothing and pleasant scent. The sheet mask can feel a bit slimy on the skin according to some users. This egg and coconut face mask is a boon for people with dry skin as it is rich and creamy. It hydrates the skin well and is very convenient to use also. The pleasant fragrance is an added benefit. Dr. Jart is a well known Korean skincare brand and this cellulose sheet mask is designed for people with very dry to dry skin. The mask uses serum that forms a barrier between the skin and the atmosphere and protects it from losing its natural moisture. It also smells pleasant and does not irritate sensitive skin. The mask does not feel heavy on the skin and has a thin film which needs to be taken off before the application. The serum has a watery consistency so it gets absorbed into the skin easily without making it feel greasy or oily. The price of the mask is a bit high but it gives you great results if used regularly. The mask is very soft and gentle on the skin and is suitable for all skin types. The serum absorbs easily into the skin and leaves it feeling nourished and hydrated. It has a soothing fragrance and the thin film protects the mask from drying in the packet. Regular use renews the skin cells and reduces dry patches. The price of the mask is a bit high for a sheet mask. It contains alcohol which can be irritating for people with sensitive skin. It is a very hydrating face mask and can be used when you are suffering from dry patches which can be itchy and uncomfortable. The serum is quite lightweight and absorbs quickly into the skin. Made with snail secretion extract, bee venom, aloe vera leaf juice, EGF and other botanical extracts, the Benton Benton sheet mask provides anti-aging benefits and firms up the skin with regular use. It has a very faint fragrance and does not irritate the skin in any way. The mask is made up of soft cotton and fits well on the face. It really lifts up the skin and makes it look a lot more radiant than before. The serum used in the mask does not feel sticky and can be massaged onto the skin after removing the mask. The snail secretion filtrate provides many skin benefits if used in moderation. The price is quite affordable as you get ten sheet masks in one pack. 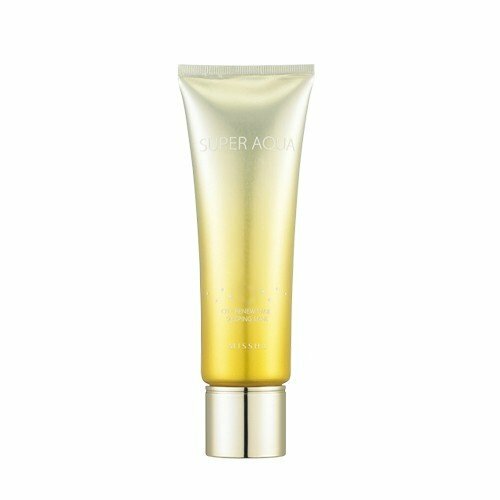 Snail secretion filtrate and bee venom remove wrinkles and firm up the skin. The mask is very soft and comfortable on the skin and fits well on all face shapes. It does not have a very strong fragrance which can irritate the skin. The serum absorbs into the skin very well and does not feel sticky. Some users might not be comfortable using snail extracts and bee venom on their skin. The mask can be a little slippery if you do not stick it well on the face. Korean skincare is known for its bizarre ingredients in skincare products but this snail extract and bee venom mask works wonders for aging and mature skin. It shows great results right after the first use and does not feel sticky. Another face mask which uses snail extracts, the Missha sleeping mask contains botanical stem cell extracts and snail slime concentrate to nourish the skin and improve its texture. The botanical extracts soothe the skin and restore its natural moisture levels. The mask comes in a convenient tube packaging and is easy to use while travelling too. It has a thick consistency and dries after a few minutes when applied. It is a sleeping mask so does not need to be washed off after use. Your skin feels plumped and glowing in the morning. The formula does tingle a bit when used on the skin but the effect lasts for only a few seconds. The price of the product is high. It is a very nourishing mask which makes your skin feel great in the morning. The mask is to be used as a sleeping mask so it does not need to be washed off. The tube packaging is quite hygienic and travel-friendly. Natural botanical extracts nourish the skin and soothes any skin irritations. The price of the mask is high as compared to the quantity. It causes a tingling sensation on the face which can be uncomfortable. This sleeping mask is very effective in improving the texture of your skin and making it look plump and nourished. It is very smooth in terms of consistency and soothe the skin after the initial tingling effect. TonyMoly sheet masks are quite popular in Korea and are used by many celebrities also as a quick pick-me-up for their dull and tired skin. The lotus mask is designed for brightening and tightening of the skin and uses pure natural lotus extracts to refresh the skin. The mask is made up of 3 layers and is made up of soft pulp which feels quite lightweight on the skin. You can also use cooled mask for added freshness if you store it in the refrigerator before usage. The serum used in the mask is thin and has a very pleasant fragrance. The price of the mask is affordable but a bit higher than the price of some other sheet masks. The mask feels very smooth and the serum uses lotus extracts to brighten the skin. The 3-layer pulp sheet does not feel heavy on the skin and dries quickly. The mask is suitable for all skin types and can be used on sensitive skin too. The price of the sheet mask is affordable. 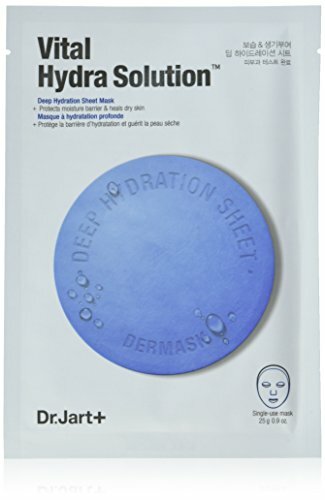 The sheet dries quickly so you have to use up the mask immediately after taking it out of the pack. The serum contains alcohol which is not very beneficial for the skin. The Lotus face mask is for rejuvenation of dull and tired skin and works well when you are in a hurry and need a pick-me-up for your skin. It adds radiance to the skin and leaves a cooling sensation on the face. Korean skincare products can contain the strangest of ingredients so it is better to check the ingredient list of a particular mask before purchasing it. Some of the common Korean skincare ingredients include snail secretion extract, egg, bee venom, and chlorophyll extracts. All these ingredients are known for their benefits for the skin and provide some great results if used regularly. Face masks can come in sheet form or paste form depending on the formula. Sheet masks are great to use on the go and are quite convenient to use since they do not have to be washed off or create any mess. Paste masks come in a tube and provide long-lasting benefits by deep cleaning the pores and rejuvenating the skin. Some masks also come in powder form and need to be mixed with water or any other liquid to form a paste before application. Your skin type is of prime importance when it comes to choosing skincare products like a face mask. If you have a very dry to dry skin, you should go for a nourishing and hydrating mask that uses serums and extracts which moisturize the skin and prevent moisture loss. If you have an oily skin, you should buy a mask that absorbs excess oil and sebum from the pores and cleans them to prevent acne breakouts and blackheads. Always choose a mask that is designed to target your specific skincare concern. Sheet masks are quite affordable and you can purchase a set of sheet masks at a very reasonable price. Tube masks can be a bit expensive depending on the ingredients but you also get a lot of quantity which lasts for a few months. Do not go for very cheap masks which contain harmful ingredients that can damage the skin in the long run. Make sure that you read the customer reviews of a particular product before buying it as these reviews can help you determine if that face mask works as well as it claims. These reviews will also give you an idea if the face masks work for your skin type and solve your particular skin concern. Some people prefer to use tube masks while others use tub masks. Tub masks can be a little unhygienic as compared to tube masks as the product gets contaminated by being touched by hand regularly when you take the product out. You can choose any type of masks depending on personal preference. Q: Can you reuse Korean face masks? When it comes to sheet masks or paste masks, it is better to avoid using the same mask again as it contains the impurities and dirt it extracted from the pores. The serum used in sheet masks can definitely be used later to massage your skin after removing the sheet. Do not use reuse masks that need to be washed off as this can cause severe skin infections if you are not careful with the cleansing process. Q: How often should you use a sheet mask? You can use a sheet mask every day after cleansing your face thoroughly. Many celebrities follow an elaborate Korean skincare routine comprising of 10-11 steps and using a sheet mask every day forms one of the steps of that routine. Q: Can I use sleeping mask every day? Sleeping masks are meant to be used once or twice a week as they have a thick consistency and can break out your skin if used more frequently than required. These sleeping masks do not replace night creams and should only be used after a certain interval to give your skin a chance to breathe naturally. Q: Is it good to use face mask every day? It is definitely soothing to use a face mask every day after a long day as your skin can also get tired of the exposure to pollutants and dirt. Do not use a very strong mask that is meant for deep cleansing but go for a gentle and light face mask that has a soothing effect on the skin. Q: Do face masks expire? Yes, all skincare products should only be used after checking the expiry date of the product thoroughly. Korean sheet masks can last for 2-3 years or so if unopened and tube face masks can last for 2 years if preserved well. Do not use any face mask that has already expired or is giving foul smell as it might be possible that the ingredients of that particular mask have lost their potency. Always wash your face with a gentle face wash and open your pores by taking some steam before using a face mask to clean the pores thoroughly. Apply ice on the skin after cleansing the face mask and washing your face to close the pores and make the skin appear smoother. Never leave a face mask for more time than advised on the pack as the ingredients can react strongly on the skin after a certain period of time. Close the tub or the tube tightly after use in order to prevent the mask from drying inside the tube. Only take out the amount of product that you need for a single use. Stop using the face mask if it reacts adversely on your skin and do a patch test before applying it on your face to see if it suits your skin type. Do not use a face mask that contains a lot of artificial ingredients as these ingredients can dry out the skin and leave it dull after a certain period of time. Allow the face mask to dry completely before washing it off with a warm cloth and use the particular product 2-3 times before gauging its performance. You can mix your favourite aloe vera gel or rose water also with a powder face mask to add to its benefits and make it even more soothing for your skin. Do not use a deep-cleansing face mask very frequently as it is designed to be a little tough on the skin and can cause rashes if used very frequently. So this was our compilation of the ten best Korean face masks available in the market which are known for their excellent benefits for all skin types. These face masks are very useful in cleaning and pampering your skin once in a while and this detailed buyer guide will help you find the right face mask for your skin concerns and skin type easily. You can also refer these FAQs for getting more information on these face masks. Have you tried a Korean face mask for your skin? Did you like it? I wonder how often should I apply face masks? Nowadays, there is face mask for daily use to it’s soft to your skin if you love to do daily. But the face mask with exfoliating, anti-aging, and detoxifying, you shouldn’t use in daily but 2 time a week. Is It possible if I reuse Korean face masks? In short “NO”. You shouldn’t reuse the same face mask because it means you’re spread dirt and bacteria from the old face mask on your face. I’m mad about Too cool for school Egg Cream Mask. 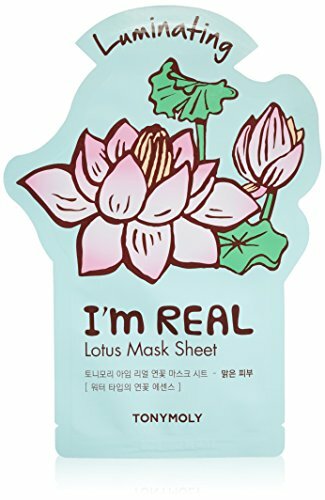 TONYMOLY I’m Real Lotus Luminating Tee Mask is to my liking. If you’re finding best one, I recommend this. Hi Jenny! It’s so cool face mask. Cocokind Organic Chlorophyll Mask give my face glowing.